Dazzling high quality polished Brazilian Amethyst. This piece is a wonderful specimen measuring approximately 6 by 3.5 inches. It is smooth to hold on edges and has so many dazzling little crystals. 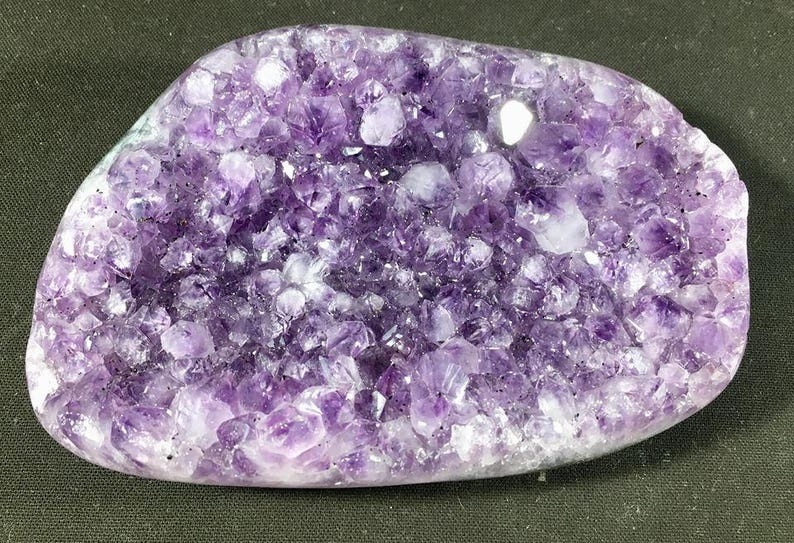 This is a wonderful piece of Amethyst and would be perfect to use for meditation or place in any special area. The calming energy of this stone is impressive.